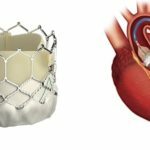 AACHEN, Germany--(BUSINESS WIRE)--Hemovent GmbH, an emerging medical device company, announced today that it has closed a $6 million Series A investment. Hemovent is developing the world’s smallest and first self-contained and fully portable Extra Corporeal Membrane Oxygenation (ECMO) system that supports or replaces heart and lung function in the event of cardiac and respiratory failure. Led by MIG Verwaltungs AG (Munich, Germany), co-investors in the Series A Hemovent round included WCTI Partners (Portland, Ore., USA); Seed Fond Aachen II (Aachen, Germany); KfW Bank (Bonn, Germany); NRW.BANK.Venture Fonds (Duesseldorf, Germany); and, PB Beteiligung- und Vermögensverwaltung. 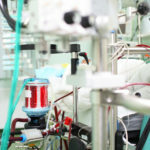 “Every ECMO patient needs to be transported under severely restricted space conditions either within a hospital or from a referring clinic, or even from the field of an emergency incident. In the course of treatment patient mobilization is a critical success factor for ECMO. Hemovent’s portable ECMO system is designed to reduce the footprint of the therapy by 90%,” added Dr. Oliver Marseille, co-founder and CTO of Hemovent. “ECMO markets are growing rapidly despite outdated technology. Hemovent’s ECMO system is extremely robust, operates like a natural heart, weighs only about two pounds and needs neither battery nor software. 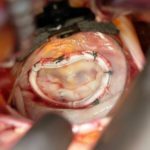 Now, for the first time, ECMO can be deployed easily as a completely portable and cost-effective life-saving technology for a fast-growing patient population,” said Matthias Guth, Venture Partner with lead investor MIG. 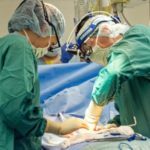 “Recent advances in the application of ECMO have led to significant improvements in clinical outcomes. As a result, users are striving for an even earlier ECMO use and a broadening of the application, which will be realized with a fully portable ECMO system,” said Prof. Dr. Ralf Muellenbach, Head of the ECMO Center at University Hospital, Wuerzburg, Germany. 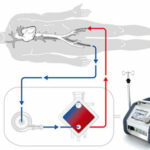 Hemovent GmbH is an emerging medical device company that has developed disruptive technology: the world’s smallest and first self-contained and fully portable Extra Corporeal Membrane Oxygenation (ECMO) system that supports or replaces heart and lung function in the event of cardiac and respiratory failure. Well, I don’t what Hemovent have or will have but Cardiohelp from Maquet is today the smallest, most complete, fully portable extracorporeal heart lung assist device. Difficult to see how Hemovent can improve on Cardiohelp. I guess we will have to wait and see.